If you find yourself dreaming of an administrator’s office instead of the current classroom you share with your students, it may be time to start thinking about taking a step to successful transition from the classroom to administration. 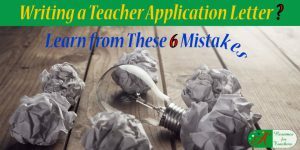 These are relevant job search tips for making a career change or transition from being a teacher to an assistant principal or principal that will make the switch to an administrator’s role easier. 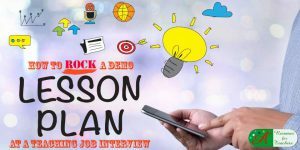 Embarking on a career transformation will involve setting goals, researching, managing your time, and overcoming any job search obstacles along your job search journey. Before you have your new nameplate engraved (c’mon, you know that’s the FIRST thing you would do!! 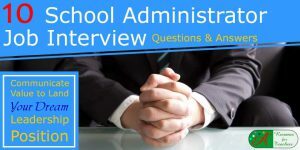 ), let’s determine if you have the necessary credentials needed to be a viable candidate for an assistant principal, head of school, curriculum director or any other coordinator or leadership position. The school district(s) you’re targeting may require a graduate degree or certification in a specialized area such as school administration or educational leadership. If a return to college is in your future, don’t think you have to put off your dream of an administrative role until it’s complete. Many school systems offer administrative internships or will move you into the role full-time even while you’re completing your studies. When putting together your resume, cover letter, and LinkedIn profile you should focus on creating a “big picture perspective” of your responsibilities and accomplishments. If possible, don’t quantify your successes regarding the classroom population only; rather, focus on the impact you’ve had on the school or district as a whole. This way, your resume and cover letter will concentrate more on administrative skills such as leadership, teamwork, dedication to the school community, as well as your involvement with committees and school improvement projects. The key is to market your transferable skills. Transferable skills are strengths and areas of expertise you can use in more than one career. You can “transfer” them to different fields, thereby making you versatile and more desirable to potential schools. Even though you may not think you have the skills necessary for becoming an administrator – look hard enough and realize uncovering them will be easier if you ask the right questions. These qualities are not exclusive to the classroom but would work perfectly in an administrator role. The key to making a career change is marketing your transferable skills in your resume, cover letter, LinkedIn profile, and during the job interview. 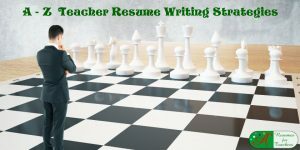 When developing your resume, you will list past job responsibilities and relevant achievements. When describing those two items, keep in mind the above skills and others you think are needed as an educator. For instance, if you led a seminar in your office, do not just state it, explain it: “Organized and conducted a workshop for 30 staff members detailing new sales goals and initiatives. Conducted a question and answer session, and encouraged open brainstorming among the employees.” This accomplishment demonstrates that you can communicate to a large group, answer their questions, and promote public discussion – all essential components of leading a challenging class. Highlight achievements like this in your resume and cover letter. Even if you think your day-to-day tasks are not relevant, examine them carefully and identify components that would transfer to the classroom environment. This accomplishment demonstrates that you can communicate to a large group, answer their questions, and promote public discussion – all essential components of leading a challenging class. Highlight achievements like this when writing your resume and cover letter. 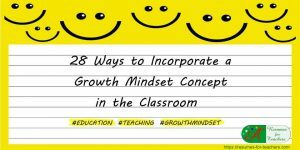 Even if you think your day-to-day tasks are not relevant, examine them carefully and identify components that would transfer to the classroom environment. Other qualities that you should showcase for your reader include communication, organizational, time management, analytical, and problem-solving skills. If these traits do in fact apply to you, list these skills the introductory paragraph of your resume. Keeping the information in your resume accurate is paramount. You can also allude to these skills while detailing accomplishments, like the example above. 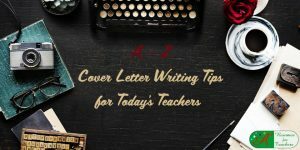 Your cover letter should also contain all of the above. 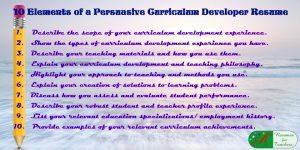 You want to grab the reader’s attention right away and let him or her know that even though you are a career changer, you have what it takes to be a phenomenal educator. Communicate, “I have developed skills A, B, C, and D, and am looking forward to putting them to good use in the school community.” Highlight three to five related achievements, demonstrating once again you are well suited for a leadership position. 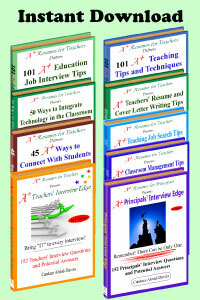 The qualities and skills you discovered will be needed when it comes time for the school administrator interview. When the interviewer asks, “Why do you think you would make an excellent school principal?” you will be able to answer quickly with a list of related educational leadership skills. If you’re not already actively participating in the Parent-Teacher Association, school committees, and special task forces aimed at school improvement or raising student achievement, now’s the time. Your contributions will demonstrate that you are doing what it takes to support your district’s key goals and objectives. It also shows that you are willing to go above and beyond your particular role to ensure a successful learning community. Not only is volunteering a reward in itself, but it is also something you can add to your resume. Participating in community activities shows potential employers that you are committed, hardworking, and an active team player in the local population. Furthermore, as a career changer, highlighting your relevant volunteer experience is an excellent method for demonstrating applicable skills and hands-on experience, especially if you have minimal formal leadership or mentoring expertise. Depending on your level of involvement and how relevant your role was as a leader, make mention of your volunteer experience in your cover letter, again reinforcing your commitment and hard work. When it comes time for the interview, remember to discuss your community involvement and the skills you use that are relevant to that of a leader/supervisor. Look for educational journals, magazines, and Internet websites to learn more about the dynamic changes in contemporary education. Find out who is getting recognition for creativity and innovation, learn about the programs and initiatives they’re implementing, and think about opportunities to incorporate similar changes in your school or district. To be considered as a leader in a school community, you need to show that you have done your homework and are well-versed in all the latest teaching methods and issues affecting the present education system. A hiring committee will want to know what you can bring to a school, so it’s a great idea to research some innovative strategies and programs. 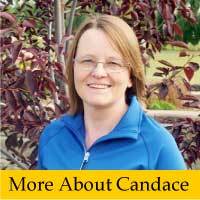 You can review many career change articles here. Testing a second career option is exciting and may require you to step outside your cozy zone. Talk to your school principal, assistant principal, and other administrative staff to let them know what you’re trying to accomplish. Most will be happy to offer advice and suggestions, and some might even offer to mentor you in your journey. Your current contacts could provide a wealth of information and resources that could immensely help you in your future aspirations in administration education. So it’s definitely in your best interest to tap into this incredible resource to network with others. Make sure your LinkedIn profile is current and focused on your vision, the goal you would like to achieve. Finally, when you’re ready to take the next step, call us. Enlisting our resume and cover letter writing expertise will have you sitting in the principal’s office in no time! 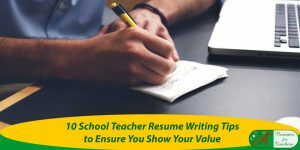 One of A+ Resumes for Teachers’ area of expertise is uncovering clients’ important achievements, skills, and strengths to showcase them in a visually appealing resume, cover letter and philosophy of leadership to generate interviews.